World Best Marketing Tool Is Now Available at Your Disposal (Only For Legitimate Businesses). Get A Keyword On SMS Long Code Virtual Mobile Numbers To Get Connected With Your Customers Any Where Any Time. We Are Offering Direct Route To Send Bulk SMS With Your Brand Name With High Periority Direct Route. We Are Directly Connected Many Network Operator In The Worldwide Level To Provide World Best SMS Services. Redefine your relationship with your targeted audience with BulkSMS Services! Bulk SMS mobility services have transformed communication and taken it to an all new level. This has opened up vibrant new vistas for the mass communication industry through mobile phones. With technological advancements and the increasing accessibility of mobile phones, sending bulk SMS is an easy way to reach people without spending too much money. BulkSMS.Com.Pk is Pakistan number one SMS marketing service provider and they provide numerous options to stay in touch with your customers, employees and other significant targeted audience. We help you create a buzz in the market, making it much easier than other traditional means. We help you to redefine archetypes and revamp your SMS campaign with SMS marketing. In Pakistan, the concept of sending bulk SMS is becoming popular day by day. Branded SMS services help to send tips, service messages, alerts, reminders and other forms of communication to the customers across a wide geographical area. 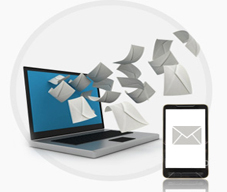 We use state of the art Bulk SMS Portal that is easy to use. You can send sms with Microsoft Excel File simply upload the Excel file from your pc and submit sms. Bulk SMS marketing services are growing in popularity because of its easy reach to the nooks and crannies of the country. We help you realize that you are just a click away from your customers and we assist you with details on the effective use of these advanced tools. We have enhanced SMS servers capable of withstanding heavy loads and hence your SMS never fails because of a busy server, which enables you to send bulk SMS simultaneously with ease. However, receiving free bulk SMS is forbidden on certain numbers registered with the Do Not Disturb registry. We have smart filters that stay clear from sending SMS to such numbers, thereby helping you avoid complications. We steer away from unethical practices and are thoroughly professional. With the help of our SMS marketing services you can very quickly contact your customers wherever they be within the nation, be it Lahore, Karachi, Islamabad, Peshawar, Punjab, Koita, Multan or elsewhere. Corporate companies enjoy huge benefits through our bulk SMS services in Pakistan. We provide ideal solutions to expand small businesses and firms into larger ones. A huge number of companies have seen tremendous growth in business by the response they get from the customers. The bulk SMS services that we have is designed in such a way as to serve the communication needs of all kinds of industry, by helping them stay in touch with their customers and associates constantly. Though there are a number of companies offering Branded SMS Services, they provide partial results and you can hardly achieve the desired results due to several hidden handicaps. Our policies are completely transparent and our services are efficient to satisfy the varied needs of customers. Our bulk SMS software makes managing the database easier and ensures improved productivity after the integration of our bulk SMS into your corporate culture. Wherever in Pakistan your customer is, our services carry your messages to them. We boast of the widest coverage and are the best service providers for SMS marketing.